Relax, you’re not going crazy. That is a Taco Bell restaurant you’re seeing cruising down the street. The first Taco Bell -- a compact 53-year-old structure referred to as “Numero Uno” -- will be moved from its birthplace in Downey, Calif. to Taco Bell headquarters in Irvine, Calif., a 45-mile road trip. “This is arguably the most important restaurant in our company’s history,” said Brian Niccol, CEO of Taco Bell Corp., in a press statement. Numero Uno’s road trip isn’t just to feel the wind in its hair. In January, after Taco Bell learned of Downey’s plans to demolish the building, which held its place in Taco Bell lore since 1962 when fast-food entrepreneur Glen Bell established the site as a Mexican-inspired hub with shops, live music and fire pits -- anchored by a taco stand called Taco Bell, the company decided to step in. 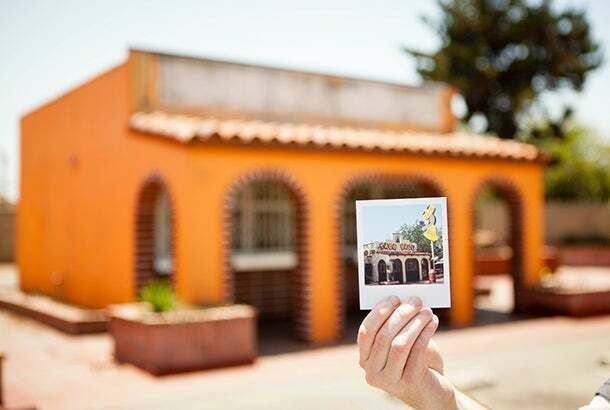 Taco Bell rallied fan support to save the historic building over social media using #SaveTacoBell. Through close work with We Are The Next, a heritage conservation nonprofit, a plan was hashed out to relocate the building -- which hasn’t been operating as a Taco Bell since 1986 -- to Irvine headquarters until its future use can be determined. The move, which kicks off on Nov. 19 at 10:30 pm PST will mobilize the entire 400-square-foot structure, making its way through a series of southern California cities, including Norwalk, Buena Park and Anaheim (home to Disneyland). It is estimated that Numero Uno will arrive at the mothership sometime in the wee morning hours on Nov. 20. Fans are also encouraged to tweet about the event -- and weigh in on the future use of Numero Uno -- using #SaveTacoBell. “Our fans helped make us who we are, and we feel they should be involved in the future of the building where it all started,” said Marisa Thalberg, Taco Bell Corp.’s chief brand engagement officer.